Renter Beware: 5 Common Issues That Come Up With Commercial Leases - Portuondo Law Firm, P.A. After scouring the rental market for the perfect place for your business, you’ve finally found the right piece of real estate. Well, congratulations! This means that your business is one step closer to all of the benefits that setting up a brick and mortar store has to offer. So what comes next? Although you might be familiar with lease agreements from renting out apartments or homes in the past, the commercial lease is an entirely new challenge. Commercial leases are generally much more complex than residential leases, so it’s important to make sure that you work closely with an attorney experienced in reviewing and drafting them. Otherwise, you might run into a whole host of new issues that you’ve never even had to think about before. At Portuondo Law Firm, our experienced team of lawyers knows what to look out for when negotiating your commercial lease and want to help you get the best deal. That’s why if you are about to enter into a commercial lease, please don’t hesitate to contact us right away! In the meantime, read ahead for some of the most common issues that can pop up with commercial leases. As with any other real estate market, you have to be prepared to move fast and sometimes make a decision on the spot to secure your business’s new location. Because of the fast-paced nature of real estate, it’s essential that you have thoroughly researched the commercial market so that you know the true value of what you are getting. This is especially true because you shouldn’t just believe anything the landowner tells you. Just like you are looking out for your best interests, they are also trying to get the best deal for themselves, even if they have to exaggerate how desired the place is and inflate the price of the rental. By knowing what you can afford and what something should cost from the start, you won’t have to worry about getting stuck with something that is not worth what you’re paying. Unlike when you’re looking at residential pieces of property, commercial real estate is not always going to be ideal for your business. One of the main reasons has to do with zoning laws, which basically means that certain areas and buildings are not allowed to be used for certain commercial purposes. It’s for this reason that you have to make absolutely sure before signing on the dotted line that your new location can actually be used in the way that you want it to be used. Otherwise, you can end up stuck in a multi-year lease for dead space. Depending on the type of business you have, you’ll probably need to make some changes to whatever space you end up renting. Whether you need to install shelves or heavy machinery, you have to make sure that any renovation and remodeling plans are explicitly addressed in your lease. Sometimes landlords will have very extensive damage penalties in their contracts, and even if you have fixed up everything before vacating the space, you’ll sometimes find yourself slapped with a heavy damage bill that eats up most or all of your security deposit. Sometimes it is even possible to negotiate a build-out that is paid in part by the landlord. By working with your attorney to manage expectations and carefully document any and all work you do, you can prevent a huge bill after your lease ends and may even end up with some free remodeling. At the end of the day, a commercial lease is just like any other contract, where unclear terms can cause trouble down the road. Negotiation is your real estate attorney’s skill, so let them do the talking and do not leave anything to chance. No matter how much you plan before signing a lease, there are always going to be some things that you can’t predict. 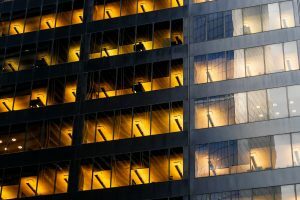 This is especially true within the context of commercial real estate, because business is inherently unpredictable and commercial lease terms tend to be longer than just one year. Unfortunately, sometimes commercial real estate ends up not being as profitable as initially thought, so it’s important to make sure you have a way of assigning your rights or subletting the space to someone else, so that you aren’t driven into debt just to make the remaining payments due on your lease. 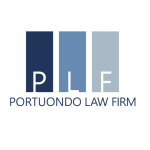 Call Portuondo Law Firm today! At Portuondo Law Firm, we have experience with handling real estate transactions. We regularly work with our clients every step of the way to secure them the best deal their commercial real estate lease can possibly offer. If you are expanding your business and getting ready to set up shop, please contact us at 786-440-8615 to speak with a member of our experienced team today!